Looking to step your chef game up? 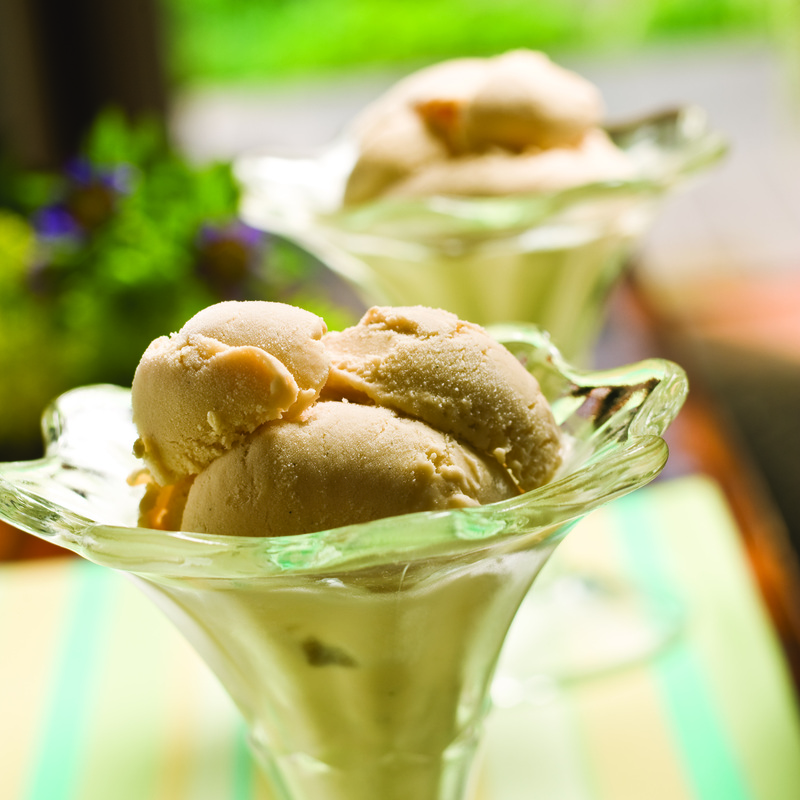 Here's an easy recipe for some delicious Turbodog Ice Cream! Pour the Turbodog into a small, heavy saucepan over medium heat. Bring to a gentle boil and reduce by half. Remove from the heat and let cool completely. Combine the cream, milk, sugar, and vanilla in a medium, heavy, non-reactive saucepan over medium heat and cook, stirring until the sugar dissolves and the mixture is hot. DO NOT BOIL. Remove from the heat. Whisk the egg yolks in a bowl. Slowly add one cup of the cream mixture to the yolks, whisking constantly until smooth. Slowly pour the yolk mixture back into the cream, whisking constantly. Place the saucepan back on medium heat. Cook, stirring constantly until the mixture thickens enough to coat the back of a spoon, 6 to 8 minutes. DO NOT BOIL. Pour the mixture through a fine strainer into a clean bowl. Cover with plastic wrap, pressing down against the surface to keep a skin from forming. Refrigerate for at least 2 hours. Remove from the refrigerator and add the Turbodog reduction, whisking to blend. Pour the mixture into an ice cream machine and freeze according to manufacturer's directions. Transfer to an airtight container and store in the freezer until ready to serve. Get the Abita Cooking Louisiana True Cookbook!